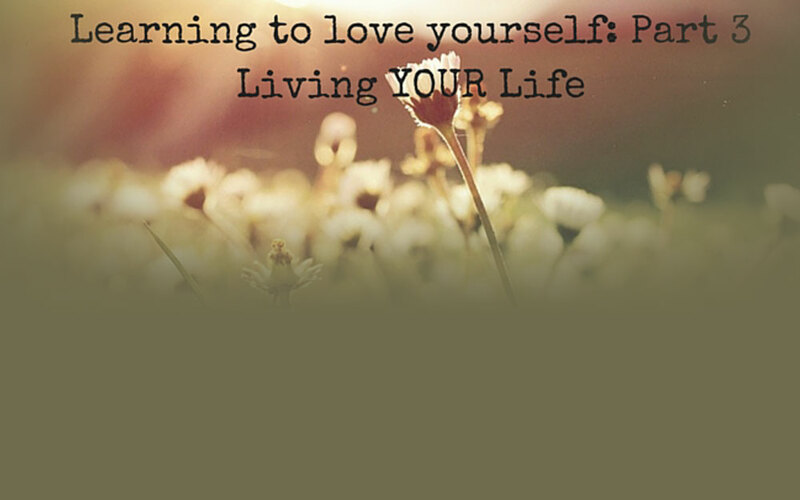 In the last of the series ‘Learning to Love Yourself’ I’m focusing on the importance of ‘living YOUR life’. Because unless you’re able to do this you’re not going to be the best version of yourself. Instead, you’ll end up a second rate copy of someone else. So you’ve listened for the lies and started using the language of love. What next? How do you know if you’re living YOUR life? Start by identifying where you’re giving up parts of yourself, your personality and passions. I don’t mean the compromising that occurs in a healthy, loving relationship, I mean where you literally ‘give up’ a part of yourself. Something that’s important to you, an expression of yourself, because you want to fit in or belong. You begin to wear the metaphorical mask. Who’s life are you living? I met a woman who loves watching foreign films. But she stopped doing this when she met a man who refused to watch them. She gave up something she enjoyed, to satisfy his needs, not hers. This was more than compromising, this was capitulation. Equally damaging is adopting someone else’s interests and values to make them happy, regardless of how it makes you feel. This often seems all right at first, but before long resentment and discontent set it. Bubbling away under the surface when it has no way out. Seemingly insignificant, it’s part of that gentle erosion – that drip, drip. The sense that my needs and my opinion are less important. That wearing away of ‘self’ through adopting others identity, giving up values and interests and choosing not to change the situation. Regardless of whether the behaviour by the other person is intentional or not, ultimately you are responsible for living YOUR life. I once worked with a lady in her 50’s who really wanted to buy a bag with tassels, so put a picture of one on her collage. She said it reflected her desire to live more adventurously generally. However, she felt she couldn’t buy one because it didn’t fit with the ‘straight laced’ image her family had of her. Rather than change their opinion of her after all this time, she chose not to buy the bag. Ultimately no-one else can live your life for you, though your parents may have thought differently at times! In the end, you decide for yourself what you will say yes or no to, what you’ll allow others to do. When you don’t love yourself enough you feel powerless and allow others; individuals, groups, society, friends, colleagues, lovers, parents, children etc. (the list could be endless) to decide for you. But you do have choices. How often do we hear the phrase ‘he made me’ or ‘she made me’. No – they didn’t. When I was younger I had an unhealthy relationship, but I stayed, for years. I would complain to my friends but do nothing to change it. Eventually, one of my friends said to me, ‘Well, you allow him to treat you like a doormat’. I was shocked and angry. How dare she suggest such a thing ‘I did NOT allow him to, he was doing it TO me’. Fortunately her words jolted me into thinking about it. Here was my close friend accusing me of passively accepting my situation and treatment. Once I recognised her words as truth, I had to decide if and how I wanted to continue in the relationship. Loving yourself doesn’t mean putting other people second, but it does mean putting yourself first. Only when you do this, do you truly have capacity to love others as much as you love yourself. Why? Because then you don’t look to others to validate you and give you self-worth. You love them simply for who they are, not what they can do for you. A client recognised this, admittting the reason she was so concerned about what her partner and mum thought was because she looked to them to validate her. With her self-worth deeply anchored in other people’s opinions of her rather than in her own, she found her emotions fluctuating on a whim. If they were pleased, she felt confident and assured. When they weren’t, she felt down and questioned herself. Moreover, she was often second guessing their opinions. This also served as a block, as she was fearful of disappointing them so wouldn’t try new things.